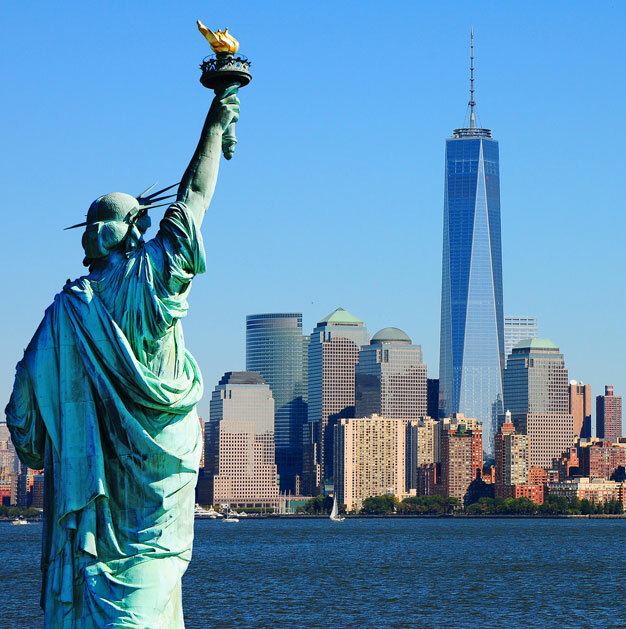 Enjoy a boat cruise to Liberty and Ellis Island - including visits to Liberty Island and access to the Ellis Island National Immigration Museum. It's an absolute must when visiting New York! Sent over the Atlantic as a gift from France in 1886, Lady Liberty towers over New York Harbor. Marvel at this monument as you sail over from Battery Park in Downtown Manhattan.Once you touch ground on the three-acre Liberty Island, you'll have the chance to walk around the entire statue and listen to the audio guide telling you the history of this monument. (Tickets to enter the Statue of Liberty itself are not included). Ellis Island, a short boat ride away, goes further in charting the story of America's past, detailing the lengthy process refugees and immigrants went through to come to the land of opportunity in the early 20th century. It's estimated that nearly half of Americans can trace at least one family member who passed through Ellis Island. Many of the exhibits are geared towards children - including an audio guide designed for children ages 6-10. When you're done, just hop on boat back to Battery Park. Swap your smartphone voucher for a paper ticket at the Castle Clinton box office #6 in Battery Park. Your ticket is valid on the date and time slot you choose. - Please note that if you take the last boat you won't have time to visit the two islands. Boats leave every 20 minutes from departure points Battery Park, Liberty Island, and Ellis Island. The last departure from Battery Park is at 3:30 PM. Entrance to the Statue of Liberty itself. Tickets for this are extremely limited and are often sold out months in advance, and therefore not included.